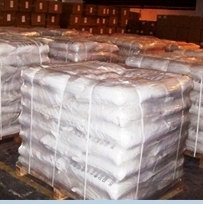 We also offer Potassium Chloride USP BP FCC Food Grade from a world class FDA approved, ISO-9001-2008, ISO-22000-2005 HACCP Certified facility with Kosher & Halal approval. 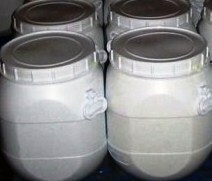 Assay: Potassium Chloride contains not less than 99.0 percent and not more than 100.5 percent of KCl, calculated on the dried basis. Identification: A solution (1 in 20) responds to the tests for Potassium and for Chloride. Acidity or alkalinity: To a solution of 5.0 g in 50 mL of carbon dioxide–free water add 3 drops of phenolphthalein TS: no pink color is produced. Then add 0.30 mL of 0.020 N sodium hydroxide: a pink color is produced. Loss on drying: Dry it at 105 for 2 hours: it loses not more than 1.0% of its weight. Standard stock solution: Transfer an accurately weighed quantity, about 41 mg, of potassium iodide to a 25-mL volumetric flask. Dissolve in and dilute with water to volume, and mix. 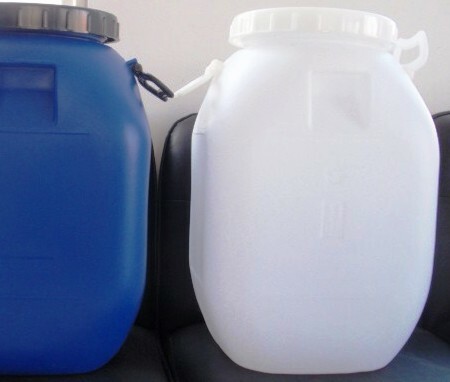 Standard solution: Dilute 1.0 mL of Standard stock solution with water to 25 mL, and mix. Dilute 2.0 mL of this solution with water to 8 mL, and proceed as directed for Test solution beginning with “Add 1 mL each of chloroform”. Test solution: Dissolve 2 g in 8 mL of water. Add 1 mL each of chloroform and diluted hydrochloric acid, then add 2 drops of a chloramine T solution (0.1 in 100), and shake gently. The violet color of the chloroform layer is not darker than that of a concomitantly prepared Standard solution: the limit is 0.005%. Standard solution: Transfer an accurately weighed quantity, about 32 mg, of sodium bromide to a 25-mL volumetric flask. Dissolve in and dilute with water to volume, and mix. Dilute 2.0 mL of this solution with water to 8 mL, and proceed as directed for Test solution beginning with “Add 1 mL each of chloroform”. Test solution: Dissolve 2 g in 8 mL of water. Add 1 mL each of chloroform and diluted hydrochloric acid, then add 5 drops of a chloramine T solution (1 in 100), and shake gently. The brown color of the chloroform layer is not darker than that of a concomitantly prepared Standard solution: the limit is 0.1%. Aluminum: where it is labeled as intended for use in hem dialysis— Proceed as directed using 2.0 g of Potassium Chloride to prepare the Test Preparation: the limit is 1 µg per g.
Calcium and magnesium: To 20 mL of a solution (1 in 100) add 2 mL each of 6 N ammonium hydroxide, ammonium oxalate TS, and dibasic sodium phosphate TS: no turbidity is produced within 5 minutes. Sodium: A solution (1 in 20), tested on a platinum wire, does not impart a pronounced yellow color to a non-luminous flame. Heavy metals: Dissolve 2.0 g in 25 mL of water: the limit is 0.001%. Content: 99.0 per cent to 100.5 per cent of KCl (dried substance). 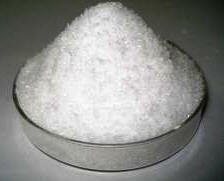 Appearance: White or almost white, crystalline powder or colorless crystals. Solubility: Freely soluble in water, practically insoluble in anhydrous ethanol. Appearance of solution: Solution S is clear and colorless. Acidity or alkalinity: To 50 ml of solution S add 0.1 ml of bromothymol blue solution. Not more than 0.5 ml of 0.01 M hydrochloric acid or 0.01 M sodium hydroxide is required to change the color of the indicator. Iodides: Moisten 5 g by the drop wise addition of a freshly prepared mixture of 0.15 ml of sodium nitrite solution, 2 ml of 0.5 M sulphuric acid, 25 ml of iodide-free starch solution and 25 ml of water. After 5 min, examine in daylight. The substance shows no blue color. Sodium: Maximum 0.10 per cent, if intended for use in the manufacture of parenteral preparations or hem dialysis solutions.